Grand Ridge is conveniently located in a quite park like setting in Tirupati at the intersection of new by-pass road and Tiruchanoor road (by Shilparamam). It is approximately 15 minute drive from airport and less than 5 minutes away from bus station/railway station. Grand Ridge is conveniently located near the city center and on the way to Tirumala on major highway road network that provide congestion free travel to Tirumala, Airport and bus/railway station. Swimming Pool, Airport Transportation, Secretarial Services, Coffee Shop/Cafe, Wedding Services, Doctor on Call, Laundry Facilities, Currency Exchange, Travel Counter, Spa/Massage/Wellness. Climate Control, Air Conditioning Room, Refrigerator Room, Wakeup Calls, Complimentary Newspaper, DVD Player, Cable/Satellite TV, House Keeping, Iron/Ironing Board, H/C Water. Breakfast Services, Coffee Shop/Cafe, Conference Hall, Doctor on Call, Laundry Facilities, Parking, Restaurant, Room Service, Secretarial Services. 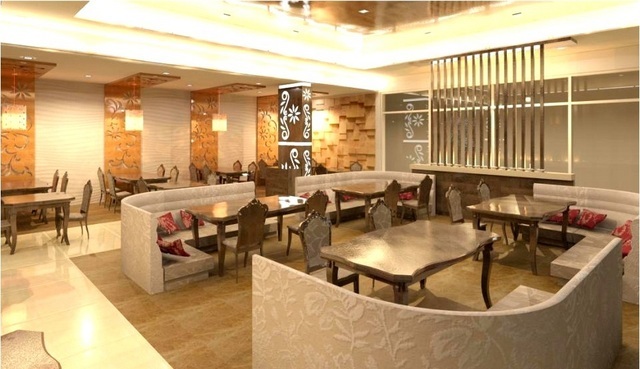 User reviews for "Fortune Select Grand Ridge Hotel Tirupati"